Australia have named their squad that will travel to England next month to launch a defence of the World Cup title won on home soil in 2015. After a couple of years in which form slumped, these men will head to the other side of the world with renewed optimism. Before Australia's recent revival Finch's place was being questioned. Eight straight wins and 451 runs at 112.75 in the series whitewash of Pakistan and those questions have been answered. The big hitting opener is back to his destructive best. A respected and well liked leader of the team, his captaincy of the side through a difficult period has been near flawless. A self-inflicted year out of the game, thanks to his part in the sandpaper scandal that rocked Australian cricket, hasn't dented Warner's power and self-confidence at the crease. Being the highest run scorer in this year's IPL speaks of a man playing at the top of his game and with a point to prove. A cloud still hangs over him and reintegration will be delicate, but still a genuine match-winner at the top of the order. Brought in to the side largely thanks to the absence of Smith and Warner, Khawaja now looks completely at home. Two centuries and five 50s in his last 10 matches propelled him to the top of the ODI scoring charts this year. Questions about how he may fare if moved down to first drop - where he averages under 25 - are tempered by the red hot form he finds himself in. 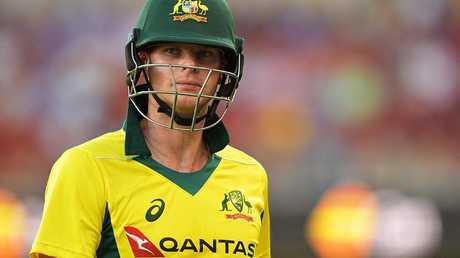 Less explosive in the IPL than Warner on return from his own 12 month ban, still recovering from an elbow injury and having shown fatigue and a drop in effectiveness in his last ODI season: there were rumblings from some quarters over Smith's right to an automatic return to the starting XI. But 18 months ago he was the best batsmen of his generation. Selectors will hope he can reassert that position swiftly. Steve Smith is still finding his way back after a year on the sidelines. Marsh scored three centuries at an average of 59.42 last year and has long been a rock in the Australian ODI side. Selectors obviously think class is permanent, form temporary (he only went past 50 twice in eight matches against India and Pakistan). Looked in danger of being squeezed out by the return of Smith and Warner but makes the squad as a reliable, if unspectacular, ODI stalwart. He may be uncomfortable with the moniker 'The Big Show', but there is no denying Maxwell's billing as Australia's X-factor middle order batsmen. Able to float around the order, accelerate an innings or consolidate a position, his 258 at 64.50 in the Pakistan series underlined his importance to the side. A handy slow bowler, too, in a squad light on all-rounders. 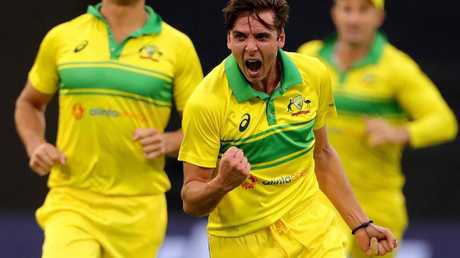 One of the few players in the squad scratching around a bit for form at present, Stoinis has been selected largely by virtue of being Australia's leading pace bowling all-rounder in a thin field. 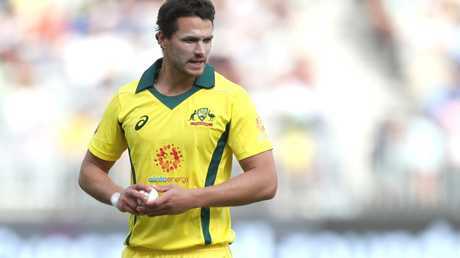 Showed what he is capable of in the home summer, as a free scoring batsman and wicket threat with ball in hand, but needs to rediscover his best quickly over in England to bring balance to the line-up. The country's undisputed best gloveman in the short form of the game, Carey will also be asked to provide contributions with the bat. Tidy if unspectacular in that regard, his near run-a-ball averages of 34.33 and 40 against India and Pakistan respectively were at the very least adequate. Enough certainly to quieten voices calling for a change seeking a more high-scoring wicketkeeping option. 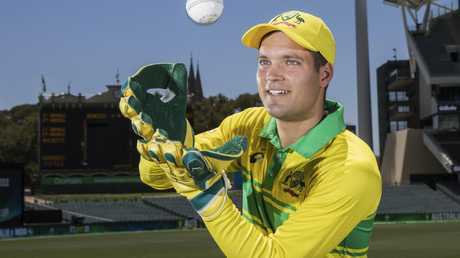 Alex Carey is the undisputed best ODI gloveman in the country at present. The brightest star of Australia's bowling stocks this season just ended, and handy with the willow in hand, Cummins is a central cog in a suddenly well-functioning machine. Reaching the top of the world bowling rankings this year was nothing less than his consistent, almost routinely excellent performances merited. Will be vital to Australia's chances of success in England. A real find of the domestic summer, the 22-year-old Richardson has been an exciting and welcome addition to Australia's pace bowling options, putting pressure on more established figures in all forms of the game. Callow, still, at this level, but showing every sign of being at the start of a long and successful international career. Jhye Richardson has made the squad despite concerns over a recent injury. The player of the tournament when Australia won the title on home soil in 2015, Starc remains the spearhead of the attack, recent injury concerns notwithstanding. Showed signs his radar was working and his pace was back firing at the tail end of the summer. Fully fit, no batsman on the planet will relish facing him. Mitchell Starc was the player of the tournament when Australia won the title in 2015. 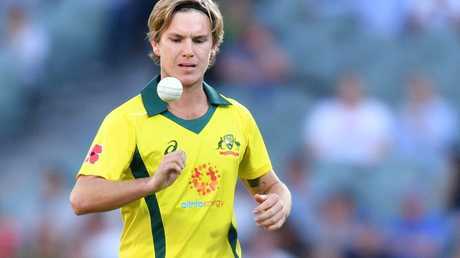 In and out of the squad for what seems like his entire career, Zampa has found consistency just in time for the World Cup and has been rewarded with a long run in the side. Australia's leading spinner in short-form cricket, his wicket threat is augmented by an ability to dry up runs, especially in the middle overs of contests. 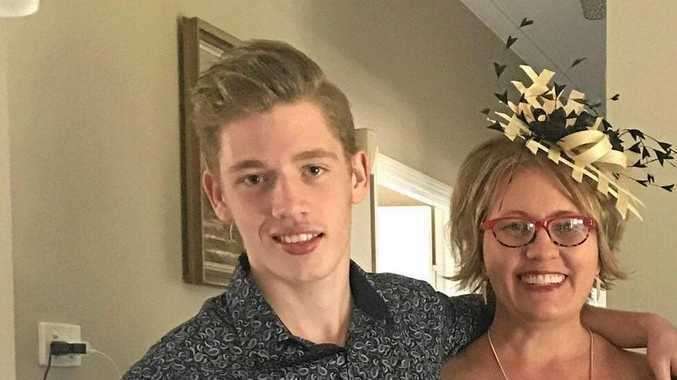 Adam Zampa looms as a likely spin option. A presence around the side for a period of time, but never entirely sure of his place, Coulter-Nile travels to England as a reliable understudy rather than a front line weapon. Can be expensive at times but had in his favour a better record with the bat than most of this rivals for the final pace bowler's spot. Nathan Coulter-Nile will offer decent support to Australia’s more celebrated pace attack. Should Australia turn to two spinners in an XI - a real possibility on the wearing pitches of what is expected to be an unusually dry English summer - Lyon is an ace up Australia's sleeve. Though, despite his Test supremacy, is behind Zampa in the ODI pecking order. His experience, economy and pressure building qualities are well known, if not often deployed in the one-day international arena. Modest performances against Pakistan and, in particular India, where he went wicketless, put his inclusion in doubt. But appears to have benefited from the question marks over the form and fitness of his more celebrated peers. A willing worker and good tourist, Behrendorff will nonetheless need to find greater accuracy and consistency when called on in England.